It is known that website creation requires a lot of means, skills and energy. And if you are unfamiliar with XHTML, HTML and CSS or just wish to save your time, our website templates are the perfect solution for you. Open Realty UK has created this collection of free web templates for you and regardless whether you are a newbie or a professional webmaster or designer you will still find them useful. They will also help you to evaluate the quality of our products, get a feel for things and try your skills before purchasing. So don’t hesitate to view and download these high quality templates free of charge for your education and use, but please note there are conditions and limitations associated with using these free website templates. For example you are not allowed to use these free sample templates with commercial purposes (including but not limited to selling them, using them as your online stores or including them into your portfolios). You also may not install them and use as your own websites. All free samples are presented here with a trial purpose solely and are for your personal use only. 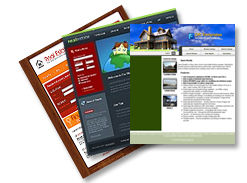 Select Your Open Realty Template sample. Select a template using the radio buttons below. Click the 'Next Page To Download' button to continue. To view a larger preview, click on the admin template image. Please note: The templates are free to use as long as you retain the link back to our website. If you wish to remove the backlinks for some reason and not breach the terms and conditions at the same time, you can pay a single charge for the removal of the backlinks. The payment always applies to one type template. Following the payment, you can remove also any sponsored links, which can be also found in a footer of some templates. After payment please email us your contact e-mail address and web site url address, where you wish to use the template, in the payment note.